Nunavut's new premier-elect says he's 'very humbled,' and 'pleasantly surprised' to have received the confidence of the house that voted him in. 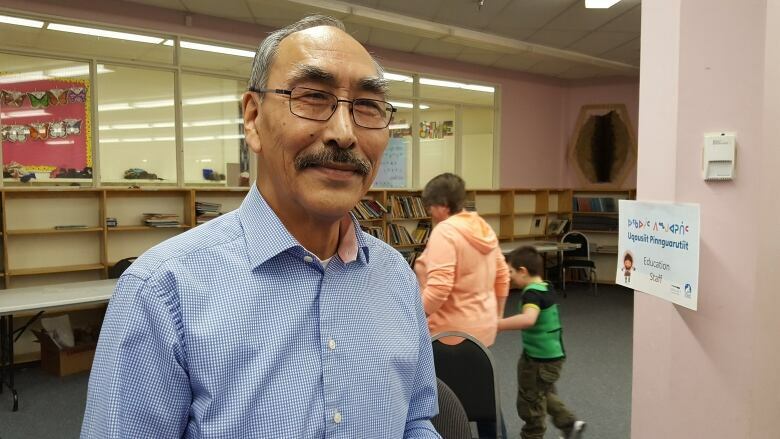 Nunavut's new premier-elect says he's "very humbled" and "pleasantly surprised" to have received the confidence of the house that voted him in. Paul Quassa was selected Friday to sit as the next premier of Nunavut, through a secret ballot during a day-long leadership forum at the legislative assembly in Iqaluit. The premier-elect sat with Qavavao Peter, host of CBC North's Qulliq, on Monday to talk about his new premiership. Q: Did you expect to be chosen as premier? First of all, I'm very humbled by the confidence of the legislative members. Like any other voting process, one never knows until the votes are counted and identified. And of course, I was pleasantly surprised. It gives me great pride to see that there was so much confidence. Certainly I will follow up on that and certainly serve the people of Nunavut, the best we can. Q: You said education reform was a priority. Will you consider reviving Bill 37 (which would have made changes to the Education and Inuit Language Protection Acts) or something similar? That will be the role of the minister of education to deal with this issue. Education has always been a big priority amongst all Nunavummiut, because education is such a big task to ensure that we have a good future. I'm a very compassionate person on education. I'm looking forward for our first retreat to identify our priorities of this government. It will be up to the members to identify those. Areas that are priorities to our communities are very important, and certainly this is something that we'll be dealing with. Q: How will you promote Inuit languages in education and in the government? As I've said before, I was born in an igloo, and Inuit values and language are very close to my heart, and certainly, very close to the newly elected members. This is something that we want to ensure that our government is fully respectful of. Inuktitut is the language of the choice of our population and we want to see our government respect that and using that language within our government. Q: During your campaign, you talked about working with regional Inuit associations. How do you picture the relationship between the government and organizations? I'm a true believer in partnerships. Through partnerships, we can meet a lot of issues that we are now facing in Nunavut — partnerships with Inuit organizations, with the federal government, with private sectors. Nunavut Tunngavik Inc. will be one of our main partners and always has been, but I want to enhance that. That is something I'll be working towards for the next four years. Q: How will you promote Inuit Qaujimajatuqangit (Inuit society values) in the government? We want to enhance that. The newly elected members are very aware of how can we enhance Inuit Qaujimajatuqangit within our government. And certainly this is something that I want to see much more within our government — how we can implement and use Inuit Qaujimajatuqangit more than what we have since 1999. Q: Almost 25 years ago, the land claim agreement was signed. There were high hopes for the territory. But there's still a lot to do. How will you implement the Nunavut agreement? It is really up to Nunavut Tunngavik Inc. to implement the Nunavut land claims agreement. This is one of the areas that I believe I'm very strong in. And understanding the Nunavut land claims agreement is so vitally important. I'm very interested in working to ensure that our government is implementing the obligations of the Nunavut land claims agreement. I'll be working very closely with Nunavut Tunggavik Inc.
Q: What role will you take in the new Inuit-to-Crown partnership between Inuit organizations and the federal government? I want to ensure that we start immediately, finding out what areas we can enhance in partnership with the federal government. We want to make sure that the rest of Canada and internationally, it's fully understood that Nunavut is a distinct territory, we have a different environment, we have a different perspective as to how we govern. We want to make Nunavut shine. And we want to make Nunavummiut proud to say that we are fully recognized as a distinct territory and this is something that the house will be working towards collectively.